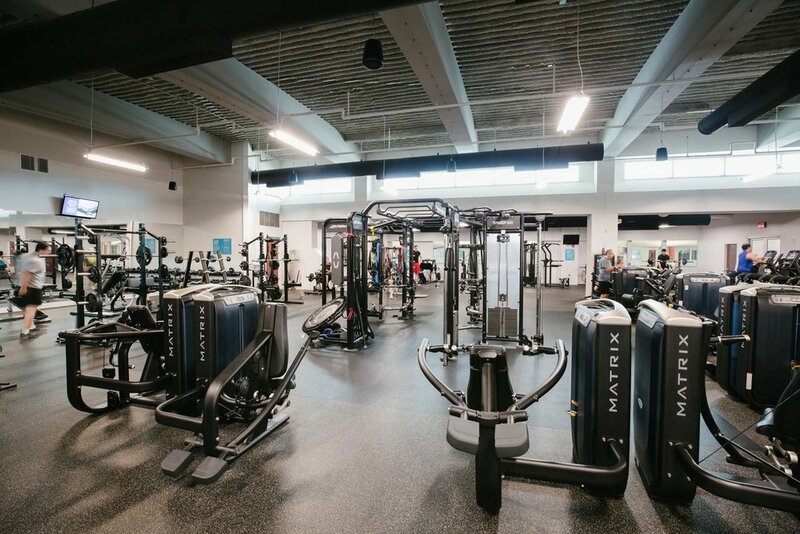 The newly-renovated west wing of the Jones Center in downtown Springdale is home to the Tyson Fitness Center: 8,000 square-feet of open space containing cutting edge fitness equipment and technology. Skylights and glass walls create a comfortable, uncrowded environment even in peak operation hours. Matrix brand digital cardio equipment line an entire section of the perimeter, each equipped with a touch-screen capable of navigating popular apps such as Facebook, Hulu, or Netflix while also offering a selection of filmed trails and paths from around the world to entertain users while exercising. A custom-built personal training section occupies the central space of the center with two separate free weight areas. Also new to the Jones Center are the multiple fitness studios, including a hot yoga space with bamboo flooring. These studios facilitate the expanded group fitness class schedule which offers over 65 classes to choose from weekly, such as Silver Sneakers, group strength training, Zumba, and barre. 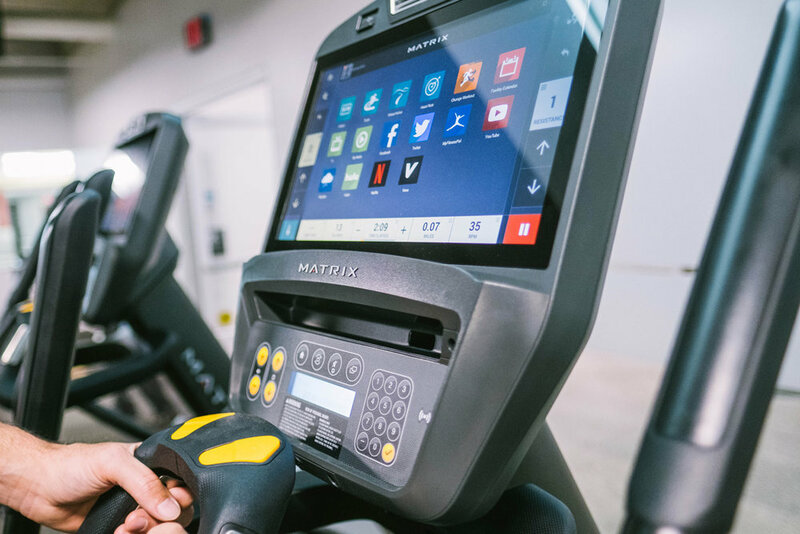 These new facilities have allowed the Jones Center to offer cost-effective personal training services to the entire community. 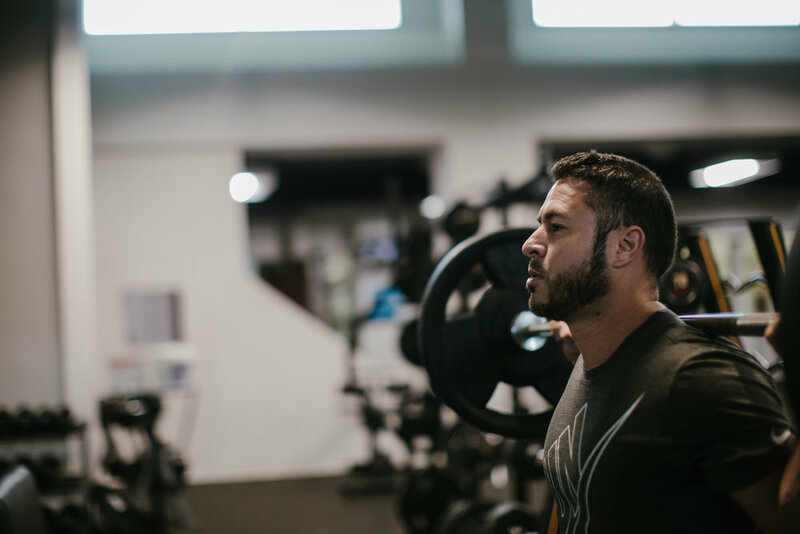 Members can access personal help with their fitness and wellness goals for as little as $10 per session. Major Funding provided by Tyson Foods. All fitness center users must be 13 years old and 16 years old for use without parental supervision. Thank you! We’ll email you back with more details about our personal training at The Jones Center. Don’t have a group? Don’t worry! Add your name to the sign up sheet at the front desk to be matched to a group that’s perfect for you! Agrega tu nombre a la lista que está en el mostrador en la entrada y serás integrado a un grupo adecuado para ti!